Growing up in Salt Lake City, Utah, I fell in love with the rugged terrain of the nearby mountains and the inhospitable beauty of the southwest deserts at an early age. 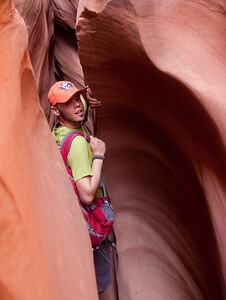 My family loved to travel any chance we had, road-tripping around Utah or much of the Western United States. We had an old Motorhome that broke down more often than not, but it always found us an adventure. In High School, I took a photography class "to fill an art credit," and it changed my whole perspective on life. I started traveling to photograph nature and fell deeper in love with the deserts of Utah and Arizona, spending months at a time living out of my truck and photographing the landscapes and stars. I graduated with an AAS in Visual Art/Photography in 2010 and began living the seasonal life, alternating between winters in the ski resorts of Utah and Colorado and summers river guiding or other odd jobs that allowed ample time for travel. In the summer of 2015, I quit my seasonal job in Colorado and pointed my truck north. 3,500 miles and 3 weeks later, I made it to Alaska with virtually no plan and less money. I visited old friends who had been hassling me for years to make the drive, “you won’t regret it!” they all said. “Once you visit, you’ll never want to leave,” more than one person told me. Driving the Glenn Highway toward Anchorage, I could see exactly what everyone was talking about. Massive snow-capped peaks shot out into the sky and rivers of ice flowed out in to the valleys below. Roads are few and far between, and wilderness greets you at the edge of every town and the side of every road. Cell service is nowhere to be found outside of the ‘cities,’ and everything is separated by hours of highway through some of the most beautiful roadside views I’ve ever seen. I was absolutely in heaven. 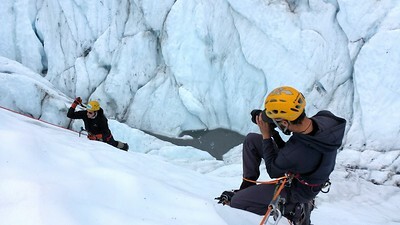 Eventually, my travels brought me to visit MICA Guides, where some friends worked as ice climbing guides on the Matanuska Glacier. They treated me to my first steps on glacier ice, as well as my first ever ice climbing experience. I immediately fell in love with the glacier’s deep blue colors and impressive formations and I knew it would be difficult to say goodbye. After a few more trips out on the ice, I couldn’t bring myself to move on. I sat down with a few of the guides and the owner of MICA, and somehow convinced them I could be of value to them as a photographer. I scrambled to gather the gear I would need and within two days I was out photographing my first ice climbing clients. For the last month of the season I was on the glacier at least 6 days a week, and the end came all too quickly. I wintered back in Colorado, but returned to MICA in 2016 for the entire summer to climb, photograph, and advance my skills on the Matanuska. I had also begun researching other glaciers, and with a few days off, I got out to explore the Valdez, Kennecott, Root, and Worthington glaciers that summer as well. Glaciers became a fascination for me the moment I stepped out onto the Matanuska that first night climbing with the guides, and I decided to push myself to explore as many of these incredible wonders as possible. I do this so that I can document their beauty and share their wonders with others. Follow along with photos on Instagram (@dcranephoto) and check out the “Cryosphere Chronicles,” where I will be recording each visit to many beautiful glaciers around the world. Camera Bags and Packs for Adventure Photographers - Most likely all of you who carry a camera with you, whether you shoot professionally or just use it to capture memories of your travels, have at some point struggled to find a camera bag you're happy with. I too, struggled for years to find something that would fit my needs. Carrying several lenses, two bodies, and all the gear I need for climbing/skiing/life was just too much for most bags, and I needed something to keep my gear separated and safe on the trail, road, wall or wherever. When I met the Clik Elite team at the Outdoor Retailer show in Salt Lake, I knew they were different, as they, too knew the struggle and presented a real solution. 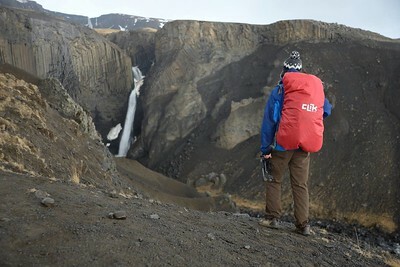 Their bags are designed and used by adventure photographers like me who need to carry more than just camera gear. So check out their site with this link, it will tell them I sent you - and use the code to save a little something for yourself. Stainless steel water bottles are all the rage these days, but these two friends from Canada are doing things right. 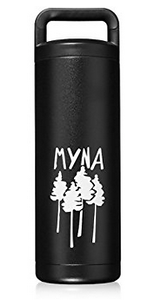 Their Myna Forum bottle (currently available through Amazon) is, in my opinion, the best of the best at a price lower than most. Double-wall stainless keeps things hot (or cold) like you wouldn't believe, but in a size and weight that is manageable for the trail. That awesome oversized handle makes it super comfortable to carry, unlike my Hydroflask and Nalgene bottles, and it even fits in the truck's cupholders! Bonus! Use the link below to show them I sent you, and the code will get you an extra 5% off, as if you need any more reason to snag this bottle. 7 Days of images and stories hosted on the companies Social Media accounts - December 2016.